Nazar log hai #Qalandars ki pakki ???????? This is a match between two underdogs of this league who came back stronger than ever. COME ON UNITED !! Lets get a win ! Toss: Islamabad United has won the toss and elected to bowl first. Chris Gayle not playing because of Flu . 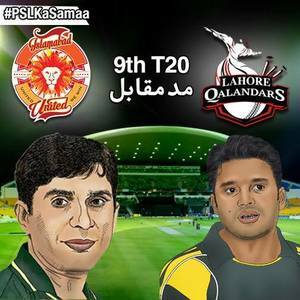 Azhar Ali #PSLT20 #HBLPSL "
Islamabad United have win the toss and elected to bowl first against Lahore Qalandars. #PSLT20 #Cricket . Than why not @iamAhmadshahzad ..? ?